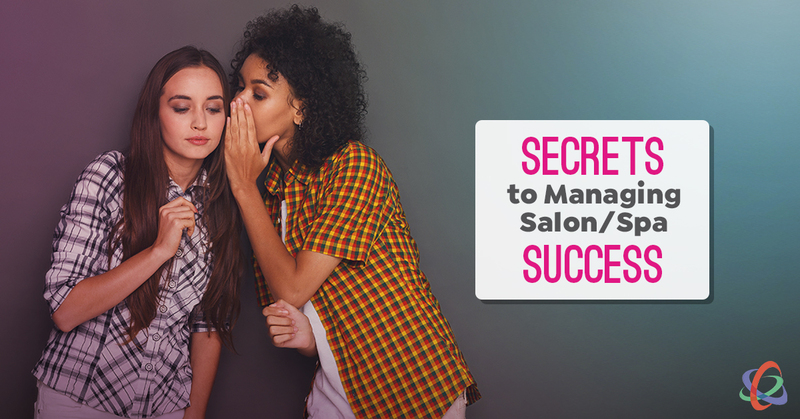 Building a successful business is what all salon/spa owners strive for. If you’re not in it to win it, why even take the risk? In almost every case, the journey to success is a rollercoaster ride. The good times and wins inspire you to keep pushing forward. The bad times are always valuable lessons that make you a better leader and decision maker. What’s interesting about building a successful salon/spa is that it’s all relative to a moment in time. FACT: Being successful today is no guarantee of long-term success. To truly succeed in business means consistently adapting, evolving and innovating your salon/spa and your leadership abilities. Strategies has been in business for over 25 years. We’ve survived the bad times and capitalized on the good times. My approach and style of leadership is different today than it was in those early years. Strategies is profitable, growing, innovative and has a culture that we all fiercely protect. So much so, that I’ve been reflecting on what made Strategies successful and how we work hard to ensure that success is sustainable long term. Everything changes: The business environment you succeeded in is going to change. Believe it. Accept it. Respond to it. You’re not managing your success by resting on your laurels and what got you here. Marketplaces change. Employees come and go. What works in digital marketing today is going to change overnight. That shiny new state-of-the-art salon/spa you built five, ten or twenty years ago isn’t so shiny anymore. KEY: To manage your success, you must first understand that success is a cumulative outcome, not a single occurrence. Managing success means building one level of success on top of another. Your leadership role must evolve: Leaders are always a work in progress. Start-ups require a “jack of all trades” leader with the determination and energy to bring an idea and vision to life. A mature business needs a consistent and disciplined leader to maintain standards and systems. If the business is in trouble, it needs a leader that can rally the team, drive critical numbers and improve efficiency, all while managing cash flow. KEY: As a business grows, its systems and controls become more complex. As the leader, you must become the leader your business needs today and tomorrow. Simply put, you can’t lead a growing company like a start-up. Profit is an embedded behavior: Your business can be profitable today, but there’s no guarantee that it will always be profitable. The longer owners wait to master the financial systems and disciplines that create profit, the more elusive profit becomes. Numbers tell the truth about how successful your business really is. You’re not successful if your salon/spa is busy as hell and broke. 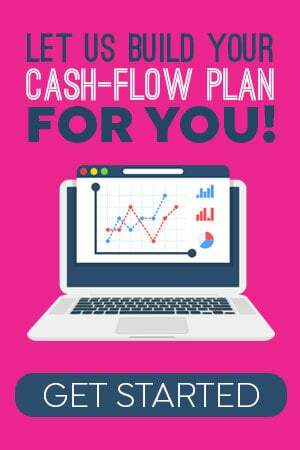 KEY: The greatest tools I ever learned are how to build and live a Cash-Flow Plan and how to understand the story that my Profit & Loss Statement and Balance Sheet were telling me. It’s about your brand, not you: Your brand is your business. Your brand is what makes your salon/spa stand out in a sea of sameness. If you want to be the brand and be the busiest and most recognized individual in your company, your ego is going to work against you. You would be better off renting a suite. KEY: If you want to develop, coach and inspire the skills and abilities of your people, you have the best chance of building a viable brand. It’s about your people, not you: When I started Strategies, I was the writer, graphic designer, educator and coach. I was fine being the front man, but my vision was to build a business training and coaching company. That meant building a team to do what I do. Building a team so we could grow and expand. KEY: The harder you work to grow your team and create a sense of ownership, the more growth opportunities for employees and the company will be created. Relentlessly challenge status quo: The most dangerous term in business is, “this is the way it’s always been done.” Well, if the “way it’s always been done” isn’t working, it’s gotta go. I’ve been challenging the industry with our Team-Based Pay business model long before I started Strategies. Sassoon challenged the industry with precision hair cutting. KEY: It’s hard to stand out from the crowd when everyone is doing the same thing. More importantly, you must believe in your approach with all your heart and soul if you want people to believe in and follow you. Compete against your company’s best: Unlike salons and spas that have a hit list of industry benchmarks to compare against, I don’t have that luxury with Strategies. Because I don’t have other coaching companies to benchmark against, we compete against our own numbers and performance. The result? We’ve been growing a consistent 20% to 25% year after year. We are very profitable and maintain the same cash reserves that we coach our clients to do. KEY: Yes, it’s nice to compare your performance against other salons/spas. By relentlessly competing against your company’s best, you will create better than industry average customized benchmarks. Make every customer a raving fan: You can’t create raving fans by being average. You can’t create raving fans if you don’t walk the talk. You can’t create raving fans when inconsistencies exist anywhere in your delivery of service, excellence and extraordinary client experiences. KEY: A raving fan is an outcome of systems execution, skill certification, accountability, high standards and a pristine culture. Each and every raving fan has to be earned. Compete everyday like you’re under attack: I learned early in my career that complacency is a business killer. It doesn’t take much to derail a salon/spa business and send it into crisis mode. Complacency means you’re not paying attention at the level you should and must. It means letting your guard down so bad things can get in. So remember, it’s important to celebrate wins to feed the spirit of your culture. KEY: Competing like you’re under attack doesn’t mean becoming paranoid. It means creating a culture that thrives on winning. It means that every employee is bringing their best game to work every day. This is how you grow a dynamic company. Irrelevancy is self-inflicted: To be “irrelevant” means you and your business don’t matter. It means you’re not innovating change. It means giving your competitors the chance to be the market leader. I get it, being a salon/spa owner is hard and stressful work, but that’s business ownership. Sink or swim. Fight to win or surrender and lose. KEY: As leader, you have a choice. I’ve seen too many salons/spas get so consumed with internal drama and lack of control that they become irrelevant. And when that happens, great employees leave, new talent seeks other opportunities, and clients move on. Never allow you or your company to become irrelevant. Here’s my challenge to you: Becoming successful and sustaining long-term success are two very different things. Your business can become a one-hit wonder, or a dynamic, sustainable company that grows in value and stature. I challenge you to master these ten secrets to managing success for the long term. Wow.. thanks for the wealth of information. This article was very helpful!